Before he passed away last summer, James Gandolfini was a very busy man. The late actor best known for "The Sopranos" knocked out appearances in four projects slated for 2013, from "The Incredible Burt Wonderstone" to last fall's indie darling, "Enough Said." But his final performance, "The Drop," is just now making its way to theaters. OK, breathe deeply everyone: We're now going to see just what Michael Bay has produced with his live-action spin on the "Teenage Mutant Ninja Turtles." In 2012, Bay announced that he was rebooting the classic characters and changing their backstory as baby turtles who mutate into warriors, much to the outrage of fans. Two years later, we have a first look at the upcoming action film with a 90-second teaser trailer. While the first promo image is of Megan Fox as the reporter April O'Neil, the clip gives us a great look at Donatello (Jeremy Howard), Michelangelo (Noel Fisher), Raphael (Alan Ritchson) and Leonardo (Pete Ploszek). Remember Disney's adorable animated "Hercules" movie, with its sassy, singing Muses? Yeah. 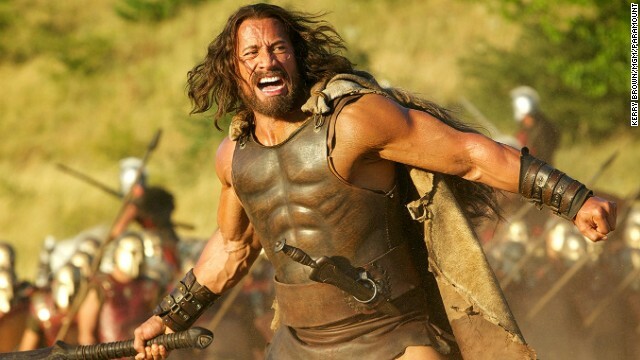 Dwayne "The Rock" Johnson's new "Hercules" could eat that version for a snack. 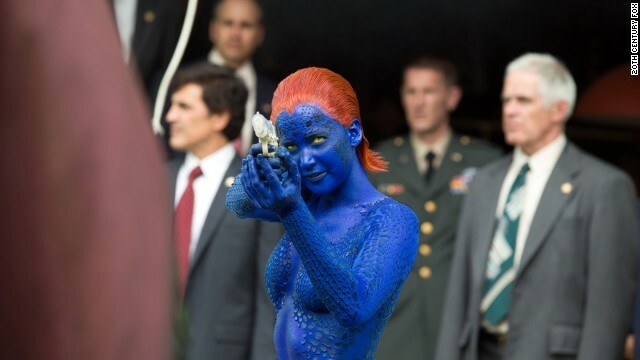 May's "X-Men" movie, "Days of Future Past," is asking all the big questions. "Are we destined to destroy each other?" "Can we change who we are?" "Is the future truly set?" "How much of Jennifer Lawrence will we get to see?" OK, that last one isn't an actual question, but it's just one of the queries on the minds of fans as we inch closer to the premiere. The first three are legitimate points raised in the newest trailer, which digs deeper into the two timelines "X-Men: Days of Future Past" operates in. In one of his final films, Paul Walker is just as fast and furious as we've come to expect. In the newest trailer for the April crime drama "Brick Mansions," Walker is ready for battle. Before there were "Hunger Games" or factions where being "Divergent" is dangerous, there was Lois Lowry's "The Giver." The award-winning children's novel has been a must-read for bookworms of all ages since it was published in 1993, and now The Weinstein Company has recruited a pair of Oscar winners to help bring Lowry's story to life.